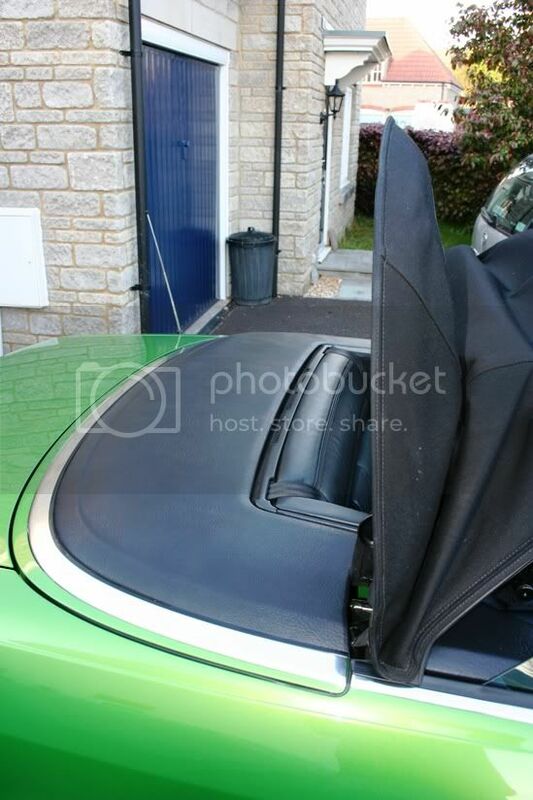 www.audifans.net :: View topic - Faulty Roof?- 01095 roof code stored? Faulty Roof?- 01095 roof code stored? Hi , my Cab's roof is refusing to play ball. I unlock the handle in the car, all the windows drop 5 inches or so, pull the button to lower the roof, the front of the roor raises along with the back half (which raises till it stops near vertical) and then it freezes along with the light flashing on the dash. 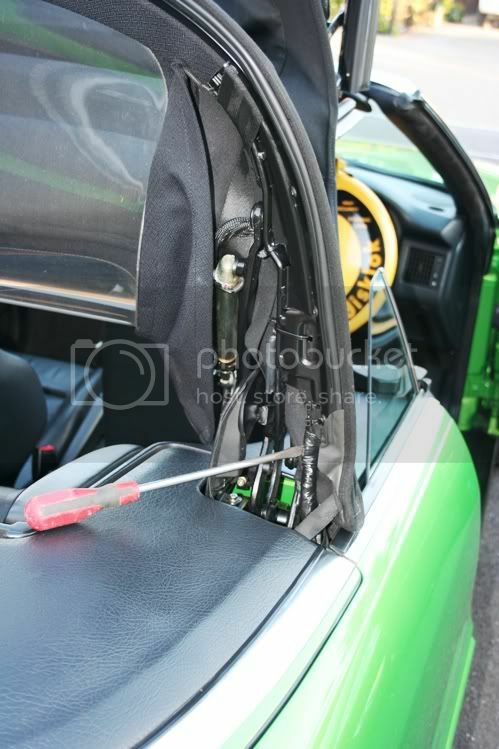 Pressing the switch down will then pull the roof down ok ready to be latched back down. I managed to blag a mates Omniscan code reader which gives the same code time and again which is 01095 compartment cover unlocked left switch 2 F197 invalid status. I have checked/ repaired the boot looms and checked the micro switches in the compartment cover latches and both sides are doing the same thing, ie closed circuit, open circuit (checked at the ecu plugs using a multi meter/ wiring diagram). Have tried lubing/ adjusting the left catch but still no go. Has anyone had this particular problem? Hydraulic fluid level spot on. Many thanks confused gav. Not had that one. Had a logic problem with my central locking and found this site excellent for diagnostic data. Sorry its in German but here is the soft top info. Need to use bablefish to read ! Then systematically check the logic in the 14 items. F197 is the microswitch in the rear cover on the left that confirm its open. Firstly, many thanks "CCV6" for such a mega quick reply and secondly, many thanks for the info you posted. Had a play with the scanner today comparing my actual data readings with what I should be getting. The 1st three parameters in blocks 1 and 2 relate to the 3 switches on either side of the hood compartment cover. The readings should be the same in each block thus indicating each side is doing the same thing, which in my case they are. This backs up my checking with a multimeter that the switches are all ok.This to my mind would suggest that the control unit is at fault? I noticed that the unit had been taken apart before so did the same, it would appear that there have been some additional resistors added to the underside of the circuit board, are they supposed to be there or has some gung-ho electrician added them as some form of repair? Do these control units fail often? Many thanks again. Gruppe 2 should read 011 but from what you described its reading 101. Both Gruppe 1 and Gruppe 2 should read 101 as your opening the roof but once you get to the point where its unlatching the cover they both should change 011. If they did not change then the controller will probably logically stop the process to prevent the hydraulics damaging the latches. You are spot on, parameters stay at 101.When operating the roof the rear section raises to the stop in preparation for the deck to open but then nothing. I don't see/hear the catches release to even let the ram raise the deck. It's at this point everything stops and the light starts to flash. It was starting to dusk off when playing with it earlier but I will carry on with it tomorrow. Was hoping to have it working for the weekend as i'm going away for the week. Looks like i'll be folding it down myself for just a bit longer! Check for continuity in the switch wires at the ECU end, likely cause is an open circuit (fractured wire) from the switch to the ECU. 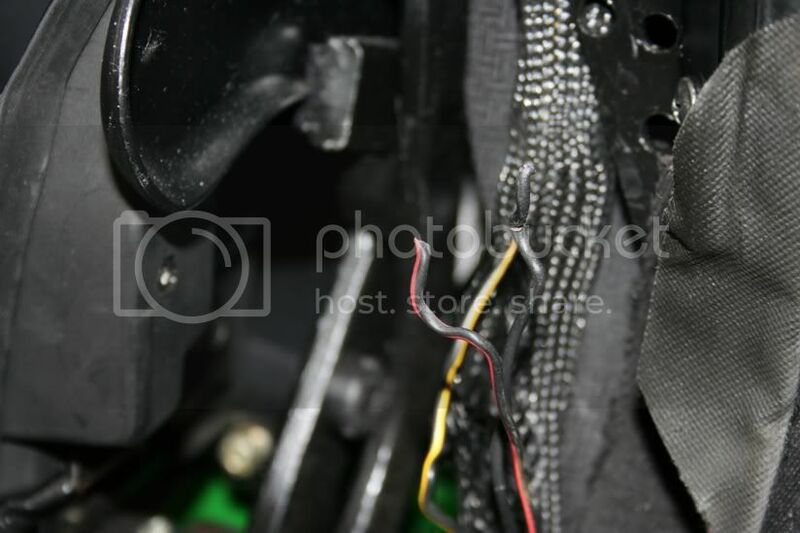 Electric hood ECU is under the rear seat backrest on the right side. Should have read this earlier! You describe exactly the same fault as my cab, but mine is the r/h switch! Hope the wiring diagram may help! Sadly I have to abandon this tiresome niggle for now, but will resume after me hols. Please do keep me posted Marvin if you have any discoveries! Been playing in the garage and so have the cab in bits!! these two correspond to the wiring diagram above at J256 (which is the ecu.) have yet to "buzz" them back to connectors T5Fand T5E which are blue and located on the left and right of the car behind the boot lining just under the hinges. the third connector "D" is the 16pin one. back to the blue connectors, have checked these and they go back to the switch's in the latch left and right (F199 F200 F 197 F198 F195 and F196) and I get a positive switch when measured and actuated. So that rules out the switch's Manual actuation produces a positive click also and the timings correspond left to right so think switchs are aligned correctly. So now to the rams and their switch's. 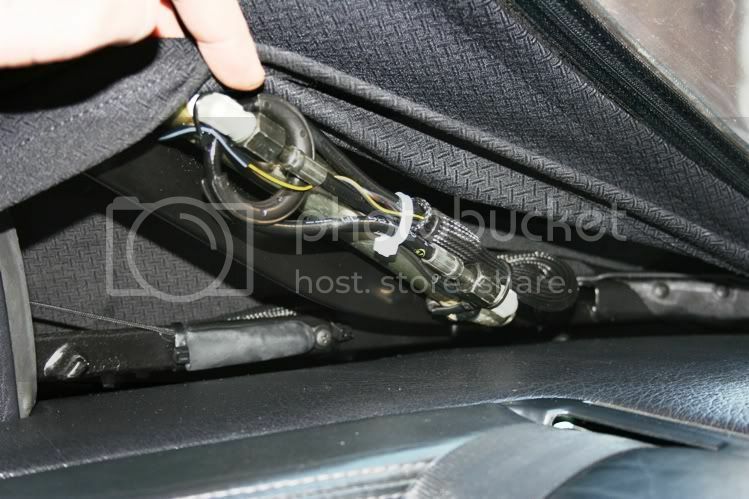 There are 3 connectors above the pump in the boot, the upper most being 8 pin, this gets awkward as u need the boot closed to open the hood box and so move the roof etc. This connector looks at the signals coming from the rams, comparment cover F201, right main cylinder F171 F202 and also tensioning bow cylinder, F203 F204 Here I get a reading of 1.5k ohms - does any body know if this is correct?? (One gives 1.9K ohms) The hood does mostly function and the timing diagrams show these ram switch's used at other times so presume they are working. Are they interchangeable in some way?? Yes also have plenty of hydraulic fluid. Guess this is easier done with a vag com 1551 unit or similar. Has any body purchased the laptop equivalent from flea bay and had any success with it? Right thats enough head scratching for one eveing!! Do you hear the click of the latch as it unlocks the back cover? Thats the point that it reach's then fails, if you manually pass this point all is fine. Tensioning bow fully raised. _all ok to this point. This too is exactly what happens with mine. It's like the ecu doe'snt recognise the rear of the hood has raised, but whilst watching the live data one day when operating the roof i'm sure I spotted a change in the data groups when the roof had raised to its stop. Also I cant be 100% certain but I seem to recall testing the rear roof ram contact with a meter at the ecu and all appeared to be ok.( I've been testing so many things i've almost forgotten what I have tested!) 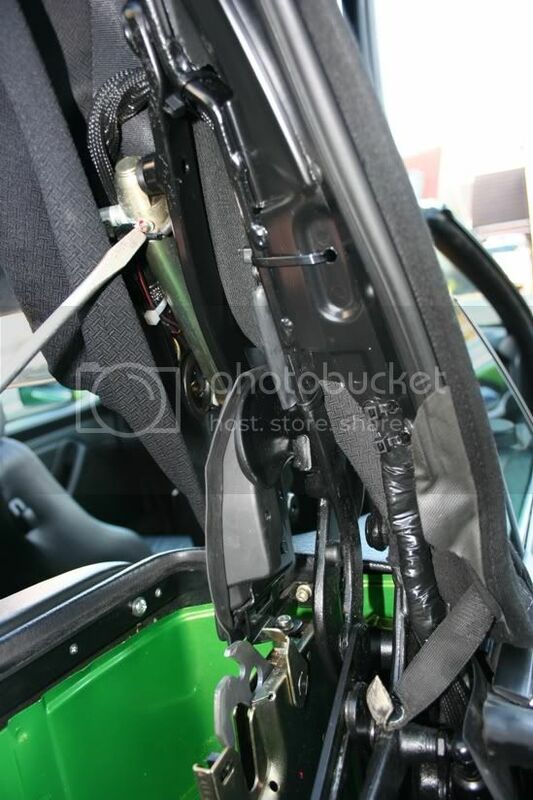 You can get the boot lock to function by opening and closing the rear deck manually. I too have checked the switch funtions at the ecu and both sides are sending the earth signals back to the ecu as they should, and seeming at this stage at a uniform time? If there is an error code in the micro switch then it must be the micro switch or wire. If all the micro switches and wire test out ok then it sounds like, a mechanical adjustent problem. If you press the microswitches with your finger then they work but when the box cover touches the switches then maybe through bad adjustment alignment they dont touch. Does the cover have any adjustments on it where the switches are? That niggling suspition was true...did some more work the the multimeter tonight - tested out both latchs back to the ECU, all six microswitchs/timing ok here. Then got to work on the rams again and true to form the more you look and read the diagrams sus out which wire code etc the more it all makes sense. Hood cover ram and microswitch - black/yellow and black back to 8 pin plug, pins 1 and 2 all ok zero or mega ohms, back to ecu pins A10 and....the interior light??? 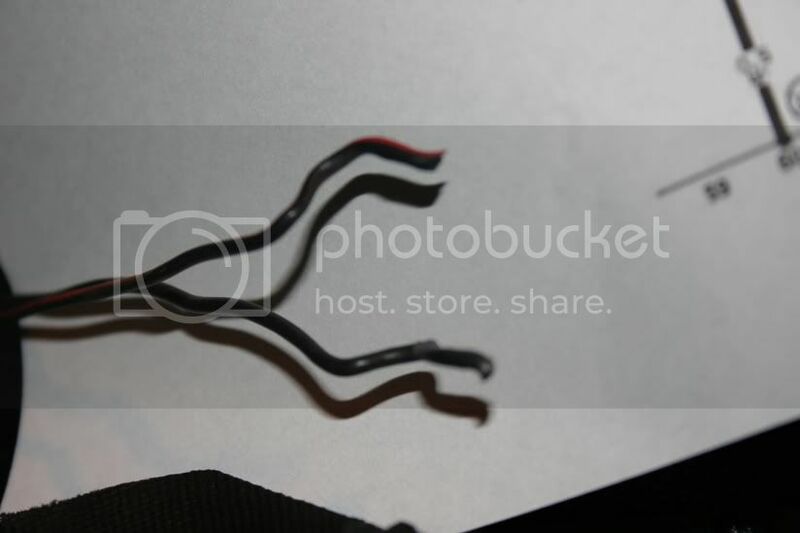 Must be the earth, test on the ram connections....seems good, then same for the convertible top switch also known as the convertible top stowed switch, pins 3,4,5 and back to the ECU A3 and A4, black/yellow, black/red and black. But the tensioning bow was completely different, for the bow raised switch I was getting some strange readings which as I thought was the issue here. Think the mistake I may have made was I used the car earth and not the cable running from the ram so to cut a long night short, found not one but two broken wires in the loom, the earth (black) and the bow raised signal (red/black) Found the black/red through measureing and cutting the cable in the hood box to verify I had the correct wire and to test it in two halves. How I found the actual break point was sheer luck. 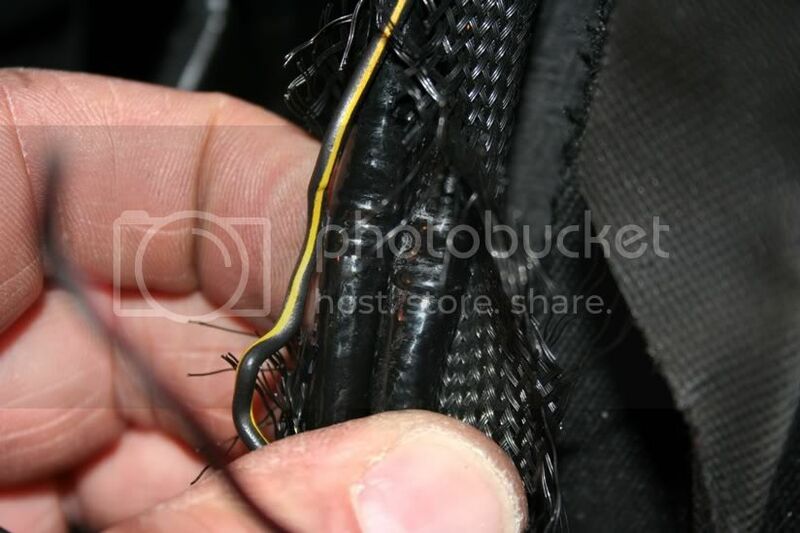 Whilst looking along the black plastic braid that covers the loom and hydraulic hoses I noticed a small lump, running fingers over it I could feel a kink in a cable, so i cut away the braid pulled all straight and found the broken signal wire and earth with two very kinked hydraulic hoses!!!!! May be a new point of failure along with the boot looms as this too is a point where the cables fold. Tomorrow nights job - a little soldering!!! Probably a good idea for all powered hood cab owners to check the looms and hydraulic pipes on the rams where they get folded for kinks if they suspect a problem! Good work Marvin. Just got back so will have a look at mine again tomorrow.Am I right in thinking the tensioning bow is the ram responsible for raising the rear section of the roof? Where exactly did you find your break? Was it on the drivers side rear section of roof, by where the right hand compartment catch is located? Guys, will take some more pics for you to illustrate exactly where the problem lies. Its an awkward loom to get to and may be easier from inside the car. To clarify Audi calls the "tensioning bow" the rear most section of the hood - the part that sits on the hood cover when the roof is fully up. 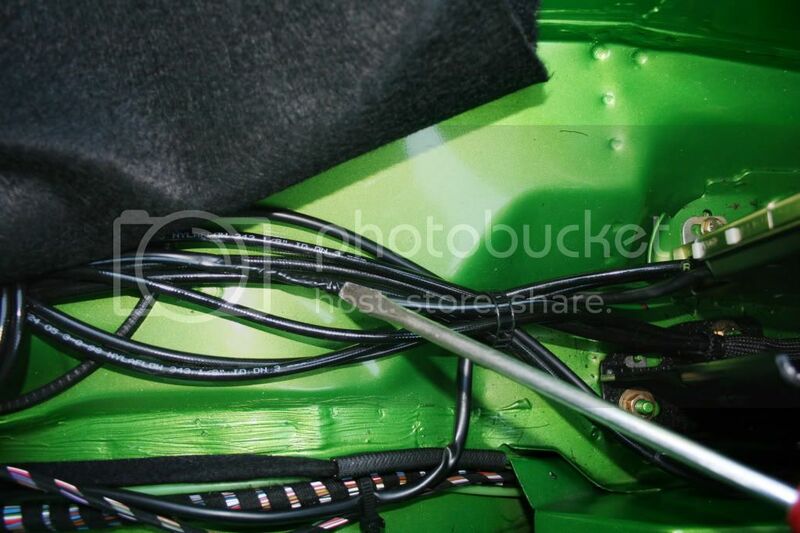 Seems there are two rams that drive this section but only the drivers side (right) ram has the microswitchs, hence positions raised, bow vertical and stowed, bow horizontal, the loom runs from the hood box around the right hand (drivers side) cover latch and up in to the hood, the bend in the plastic covering braid can clearly be seen by raising the drivers side piece of cloth that covers the back corner of the hood (With hood in fully up position) The plastic braid has three cable, earth and tow signal and the two hydraulic hoses. The two rams that raise the main section of the hood also only has microswitch's on the right (drivers) side. 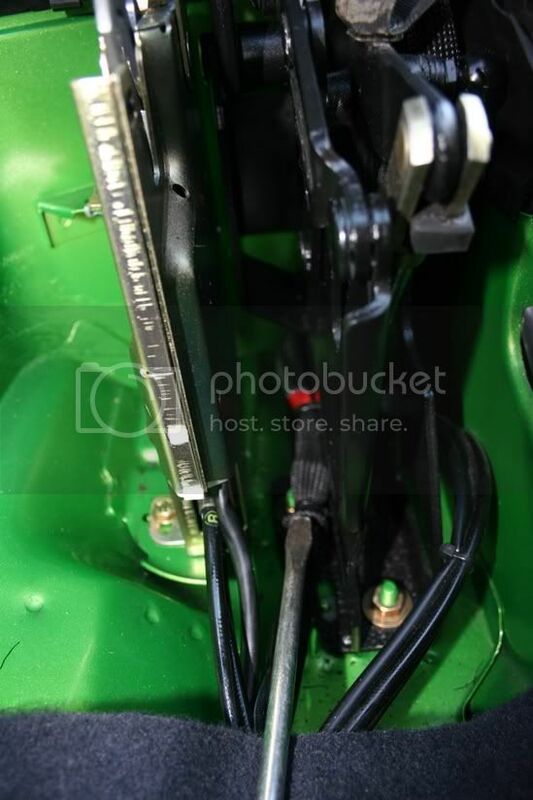 All cables from the microswitchs including on the ram for hood cover raised go back to the 8 pin connector just above the hood hydraulic pump. There are 3 black - earth to each ram, 3 yellow/black (all three rams) and two red/black (main hood ram and bow ram) Unplug the 8 pin connector and measure with a multimeter from the ram, push probe under rubber cover and back to the plug, once you have sussed which group do what and what cable may be broken measure whilst between black and a colour/black move the hood and this will check also the switch operation, obviously not for the one with any broken conductor! Have a new issue now....flat battery!! Think that the system had an issue with this falt and so kept locking the boot, hence over the winter the battery went flat and now will not recover when charged - so my own fault. Unlock hood windows drop, lift leaver and all ok till this position. Loom and tensioning bow ram as seen from in side car, drivers side. Loom runs behind frame again viewed from in side car. Braid that hoses the 3 cables and 2 hoses can be seen here. 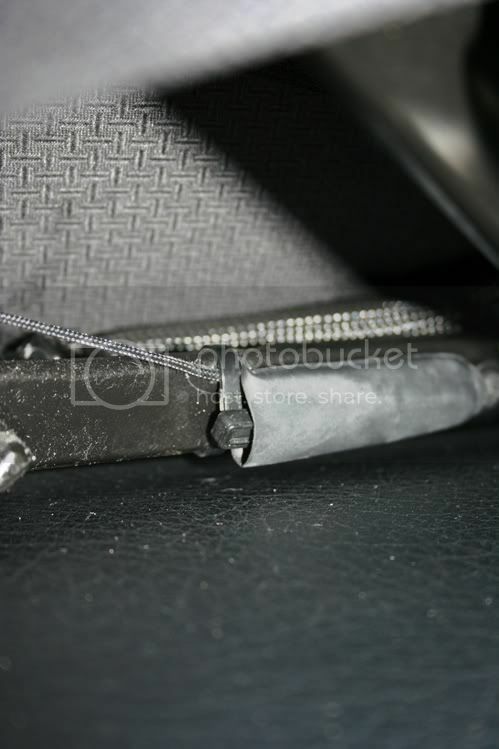 Screwdriver points to where the break in the loom was, again drivers side. 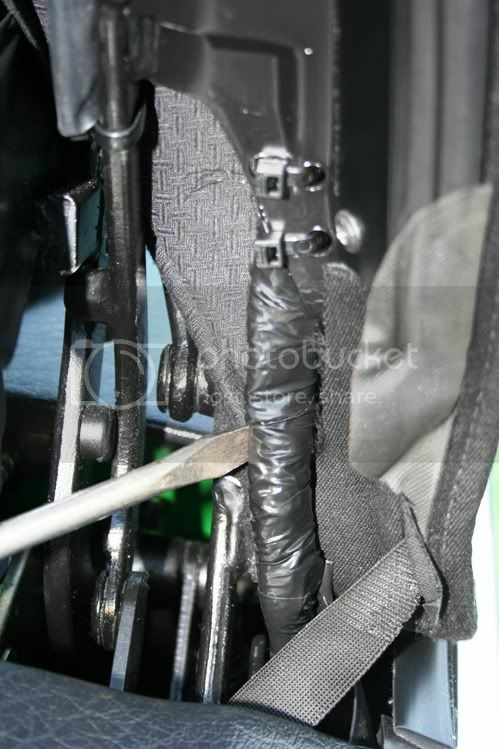 Loom runs along hood frame and down behind right hand hood cover latch, here shown by screwdriver as the cables and hoses exit the braid. For testing I split the loom here in the hood box. Ive tried to put as much in these posts as is possible with out over complicating things, I do have more info but its pages and pages in length!!! off topic, but thats a damn fine example you have there..
Notes posted on the problem or my cab??? 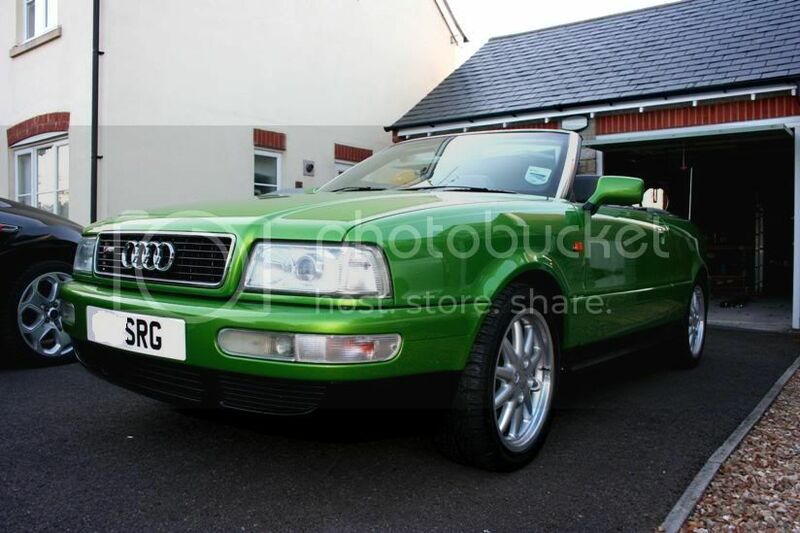 Java Green....38k 1999 Recaro Interior, manual. Took me a while to find it!! !